My children both had their faces painted with UV paint (it was £4). I loved the seating area of benches and toadstools. It was very fairytale inspired! 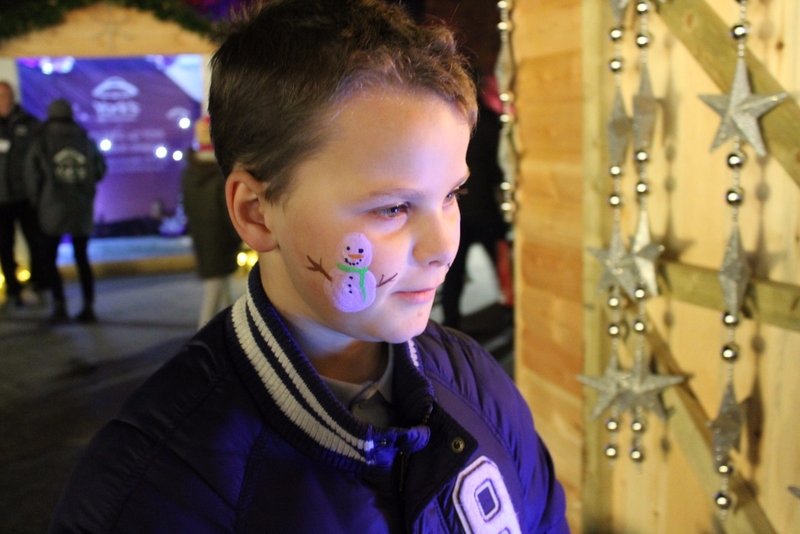 After we moved away from the stalls and face-painting, the real journey began. 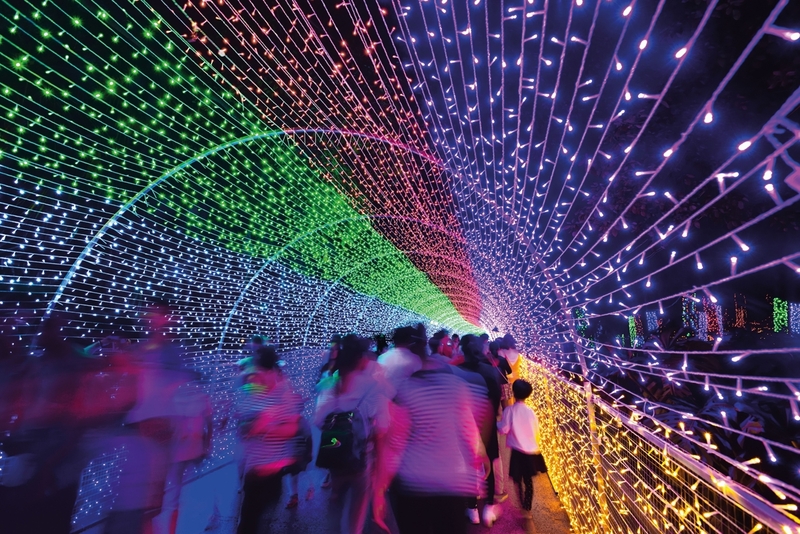 I loved the light tunnel, it’s so beautiful. It makes a fabulous photo opportunity, which I didn’t take advantage of and only managed this rubbish shot as I am so conscious of getting in people’s way! We even got to have a little chat with Santa! 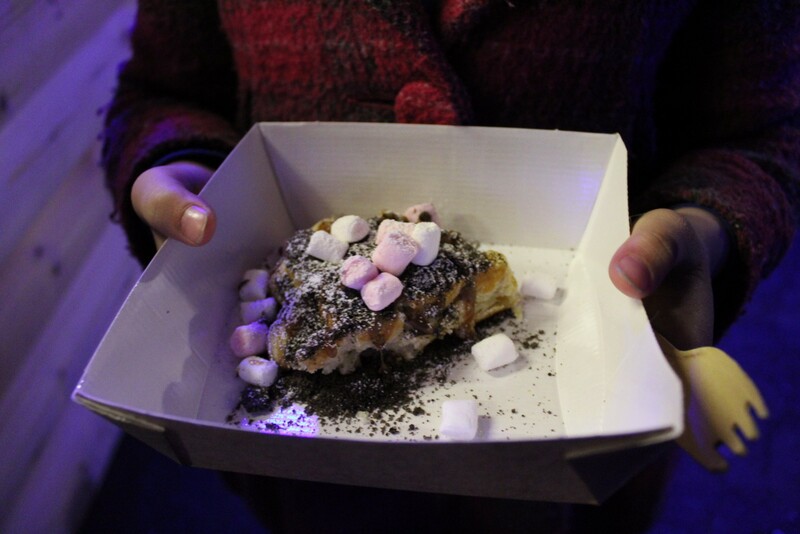 We stopped at the doughnut and waffle cabin and they kindly split a waffle in half for the children. You could pay by topping and the children loved choosing! A single waffle is £5. 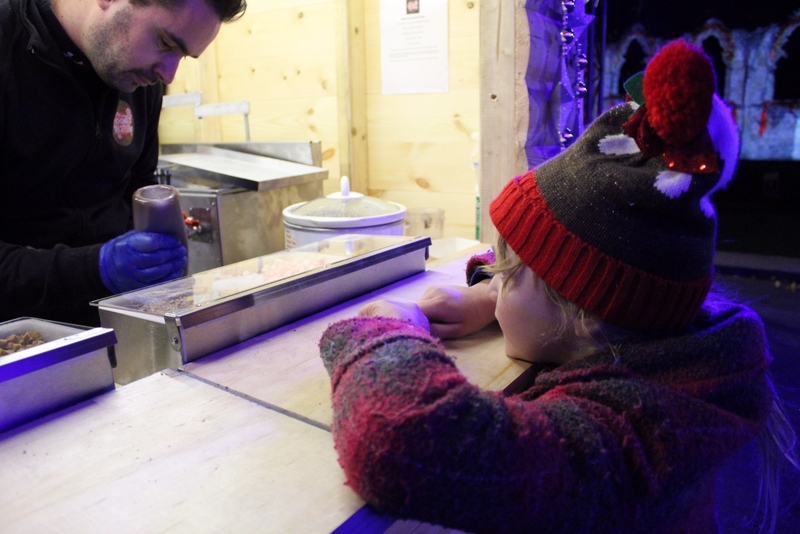 The waffle stand people were very kind to the children and made it a lovely experience for them. 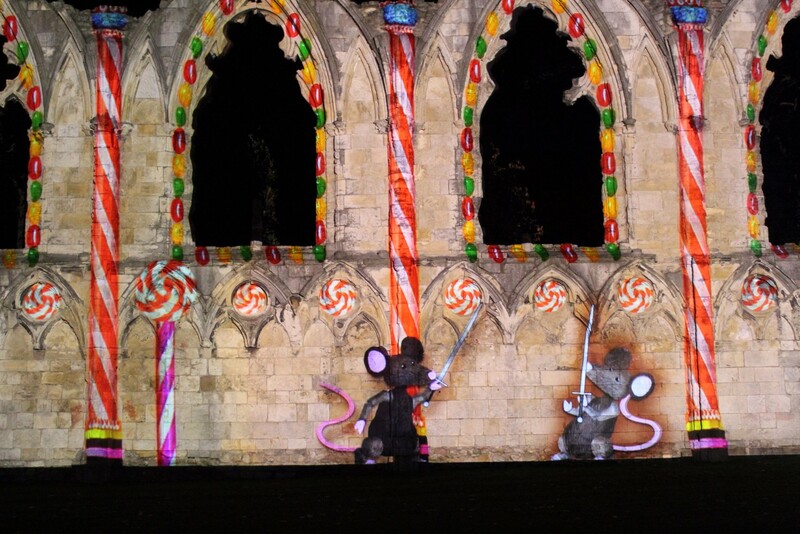 They had a fabulous light show projected onto the ruins of St Mary’s Abbey. These were my favourites, they reminded me of fireworks! The below information is from the press release from before we visited! Now, if you have read anything I else I have written, you will know I love Christmas events! I am very excited about this one! I love the Museum Gardens in York, and used to walk through them on my way to school, feeding the squirrels and admiring the peacocks as I went (I miss the peacocks!). 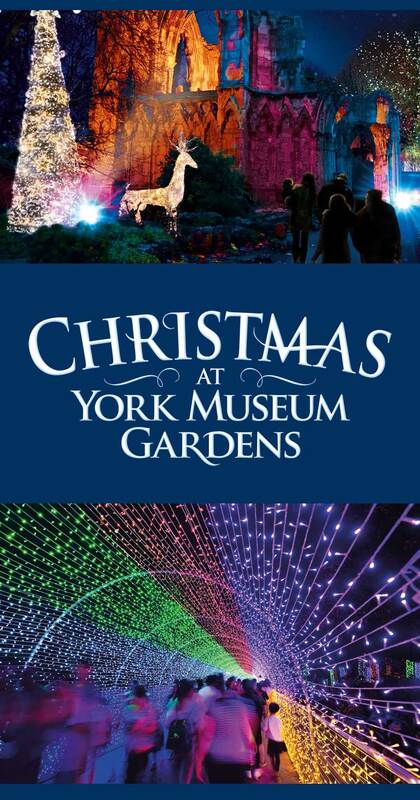 This winter, York will welcome its newest attraction, as the City’s beloved York Museum Gardens are transformed into an illuminated trail to host Christmas at York Museum Gardens. 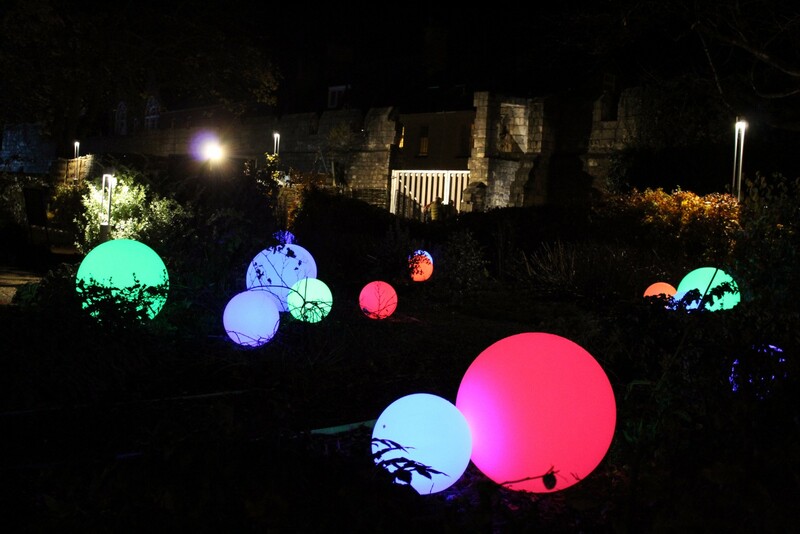 Opening on Thursday 16 November, the gardens will be filled with light, colour and music as the City’s beautiful, medieval grounds play host to an exciting yuletide experience. Home to over 10 acres of stunning botanical gardens in the heart of York, the award-winning York Museum Gardens are famed for their fantastic collection of trees, plants and historic architecture, set against the stunning backdrop of the medieval ruins of St. Mary’s Abbey and the City’s prized Yorkshire Museum. 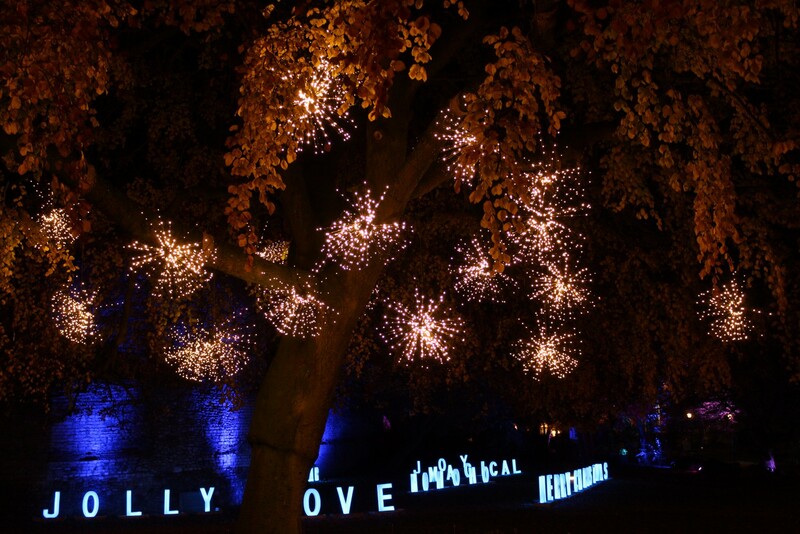 For the first time ever, York Museum Gardens will welcome visitors to a magical Christmas after-dark illuminated experience as the Gardens are transformed into a landscape of twinkling lights and festive cheer. 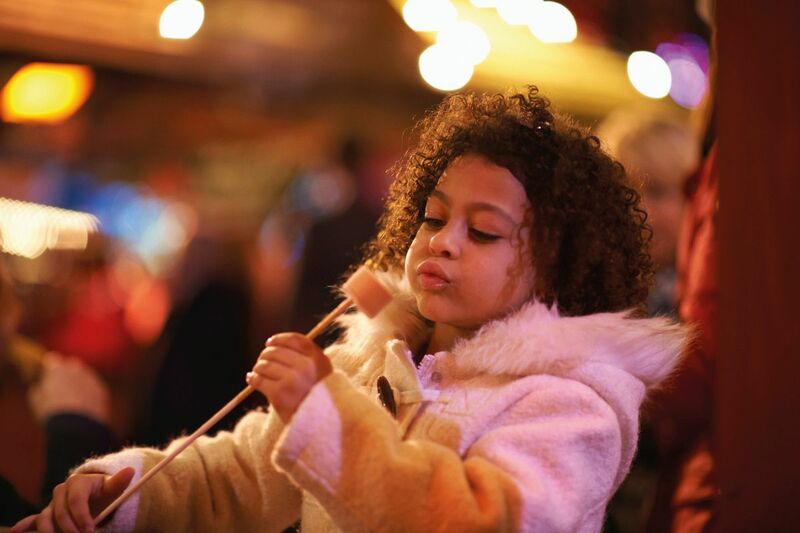 As visitors are welcomed to the attraction, they will step into a Fairy-tale Christmas village with a vintage funfair ride, colourful face painting and delicious warming pies from the Yorkshire Pudding Pie Company and other festive fare. 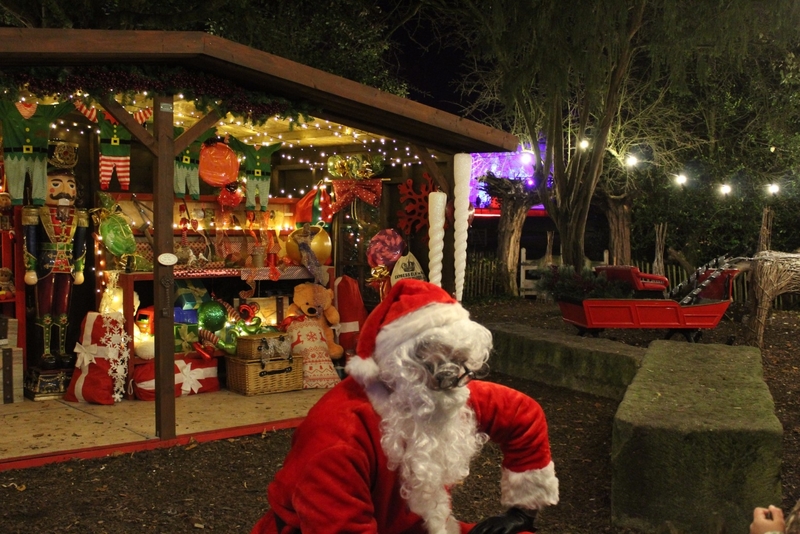 Leading down from the village square, visitors will follow a mystical UV light pathway and children can unearth hidden Christmas messages in a unique game of hide and seek. 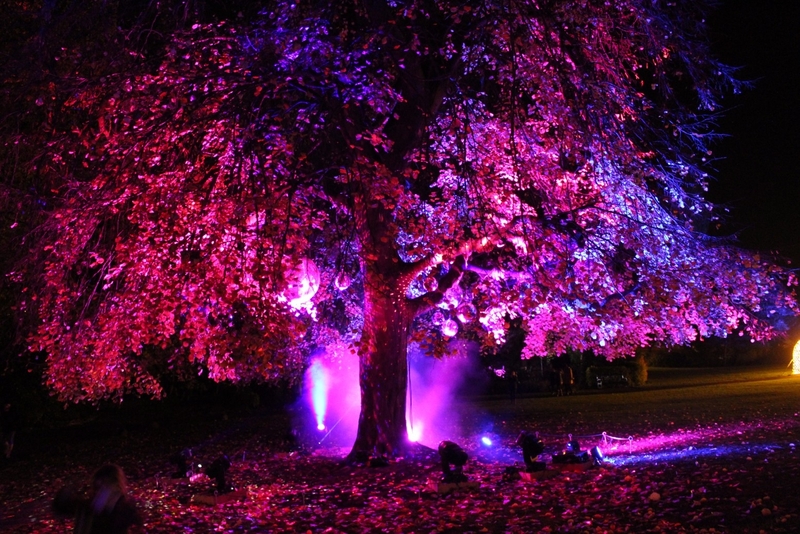 Greeted by the sights and sounds of Christmas, visitors will walk beneath tree canopies drenched in colours. 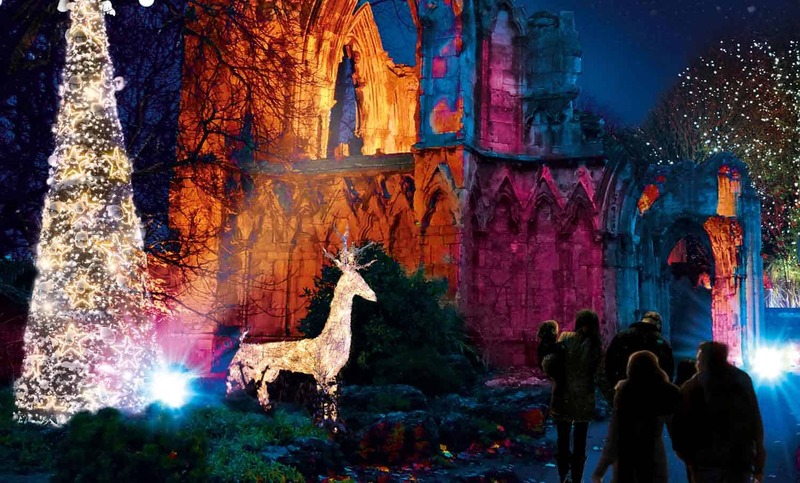 The festive journey begins in the ‘edible garden’ with the ‘12 Frames of Christmas’, followed by a stroll past a forest of singing trees glittering with lights, which then leads on to a spectacular projection onto one of York’s best kept secrets, St Mary’s Abbey ruins. 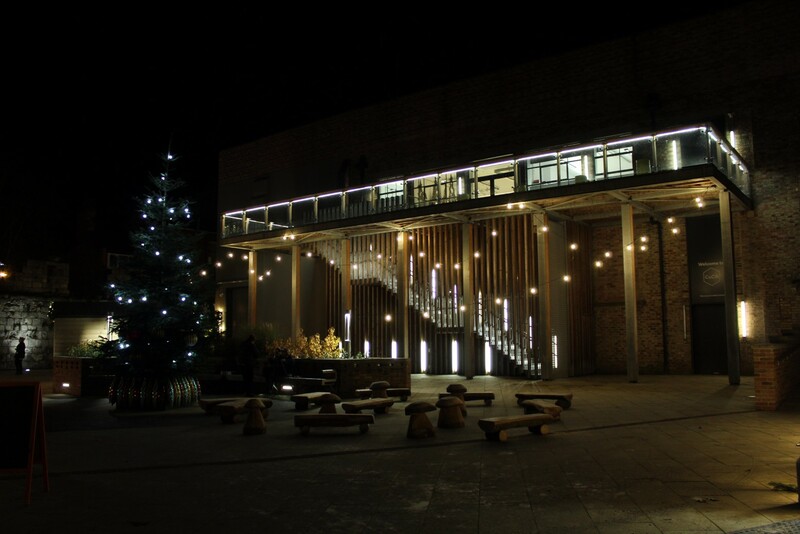 The walk will feature a unique and majestic installation specially-commissioned by a local Northern artist, and within the gardens, visitors will be immersed in the music of Christmas as they reach the 14th century Hospitium. 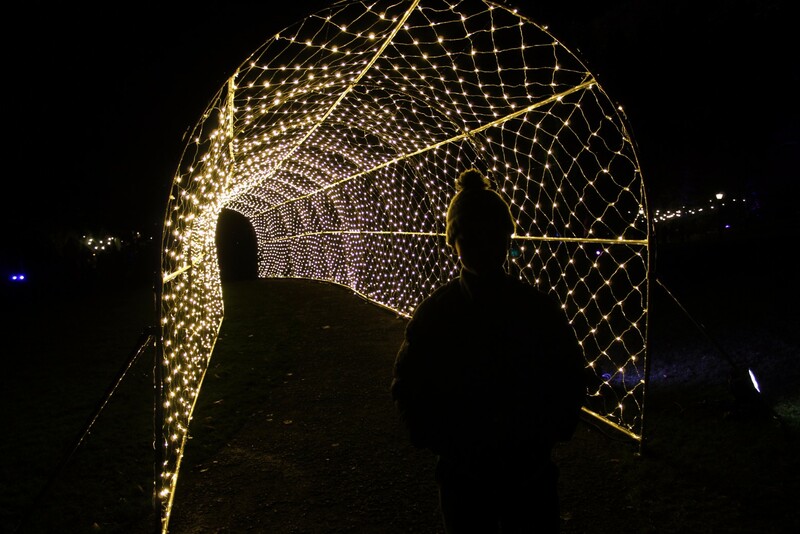 After the excitement of discovering Father Christmas in his secret bothy, children will be captivated by the display of ever-changing coloured mirror balls and an enchanting 20m tunnel of light. The Finale of Fire on the Library lawn www.christmasatyorkmuseumgardens.co.uk will envelope visitors in a warming glow, providing the perfect opportunity to contemplate the year gone by and look forward to the promise of the New Year ahead. 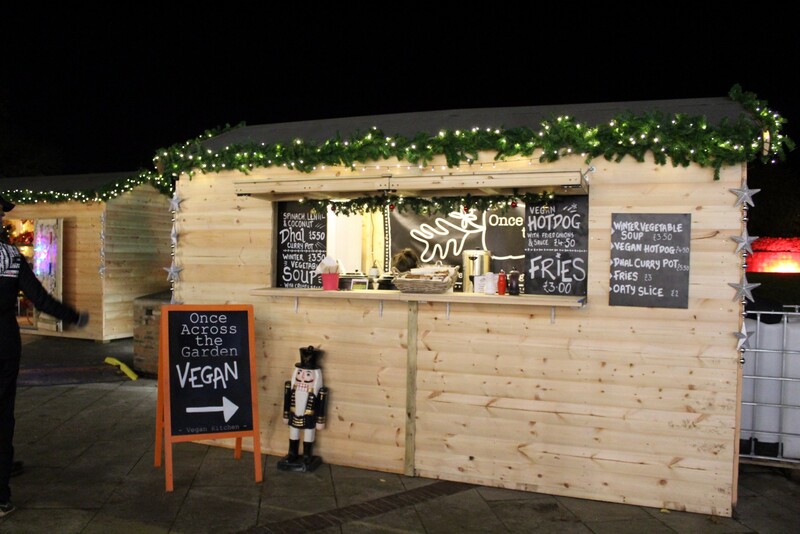 Traditional Christmas treats round off the experience, with mulled wine, spiced cider and hot chocolate available, together with toasted marshmallows and a selection of hot food. 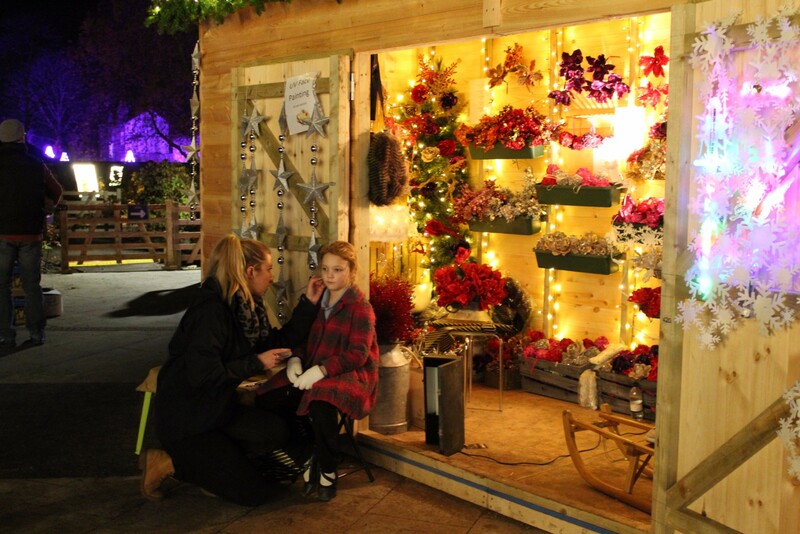 Christmas at York Museum Gardens is a brand-new evening attraction for York, offering a wonderful festive experience for all and guaranteed to create enchanting Christmas memories. The walk is fully accessible and child friendly. Visitors should allow at least an hour for the visit. Entry to the walk is by timed ticket. It is recommended that visitors book in advance as there will be limited tickets available for each time slot. It looks an enchanting place to visit. I love a bit of low-light photography and think this must have been amazing. Will this be suitable for disabled people? Will there be any consessions for Yorkshire Carers , bringing the person they care for ? I don’t know Frances, but I will try and find out for you!